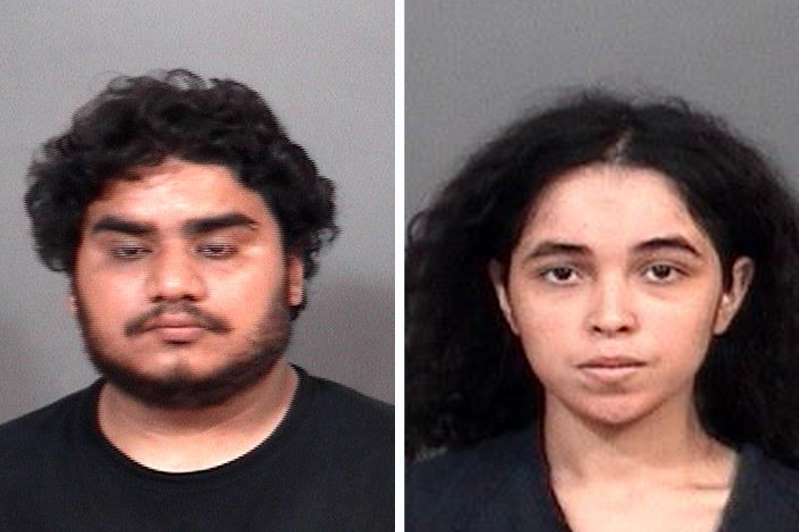 © courtesy of St. Joseph County Jail Booking photos of Aldo Aranda and Maria Kuilan Benitez. A South Bend couple has been charged with neglect after investigators found three severely malnourished children living in squalid conditions at their home. The South Bend Tribune reports 30-year-old Aldo Aranda and his wife Maria Kuilan Benitez each face multiple felonies. Police were called to their home this month after a family member requested a welfare check. Court records state the 29-year-old wife told police that her husband threatened to stab her if she left the home.